Branding and Promotion allows a business to present itself in an identifiable way to the consumer that allows them to leave a slight lasting impression of their existence that should aide repeat purchase or identification of their qualities. Advertising – The most common way of increasing brand coverage is through advertising, because of the potential reach and scale of platforms advertising is available on it is very easy to meet the metric a business desires, this also has become more easy to segment further by having online advertising to deliver ads on a uniquely measurable and quantifiable scale, whereas before the amount of impressions and effectiveness of the adverts was not individually classifiable in the real world, using online advertising changes the game as advertisers are able to segment the market down to the age, location and interest. Promotions – Offering promotions allow a business to make itself more noticeable to the consumer as they will see the promotion as a deal, and then associate the product and brand. Promotion may also increase brand awareness by sponsoring a stadium or event, that allows them to receive some of the publicity that the stadium has with it. Direct Marketing – Marketing to the customer directly through more orthodox methods, such as telemarketing or shopping channels, typically requires a lot of sales cost and sometimes isn’t always effective expenditure, whereas advertising or promotion is more effective at reaching consumers as they are able to form their own opinions, rather than have one forced upon them. Having a strong brand enables a business to sell to their consumers consistently as consumers will actively recognize and seek out their brand. A strong brand is identifiable, recognizable, aspirational and flexible. Having a strong brand should enable a business to sell its added value effectively to customers, provide the brand with the ability to charge for the brand at a premium rate and have a reduced price elasticity of demand; enabling them to sell to customers even though there are competitors. Building a strong brand can be hard to get right. Having a Unique Selling Point allows the customer to differentiate their brand from the others, having something other than a generic product allows the business to market on that principal and build their brand on its effectiveness to the consumer. Using Advertising should increase coverage of their brand and make it recognizable to potential customers. Sponsorship enables businesses to build a positive relationship with their customers, sponsoring a racing event, for example, presents a positive relationship for customers who watch the race, and need one of the sponsor’s products. Social Media and Online presence allow a business to be seen from the internet. Viral Marketing and Guerrilla Marketing allow a business to sell its products, often without the need for expensive advertising budgets. However, this tactic can often be hit and miss. Emotional Marketing can be used to target the emotions of a customer, by playing on the nostalgic or romantic side of individuals for example. Seasonal Marketing can be used to reach customers during festivities and events. Aesthetics – How the product looks. Function – How the product performs its task. 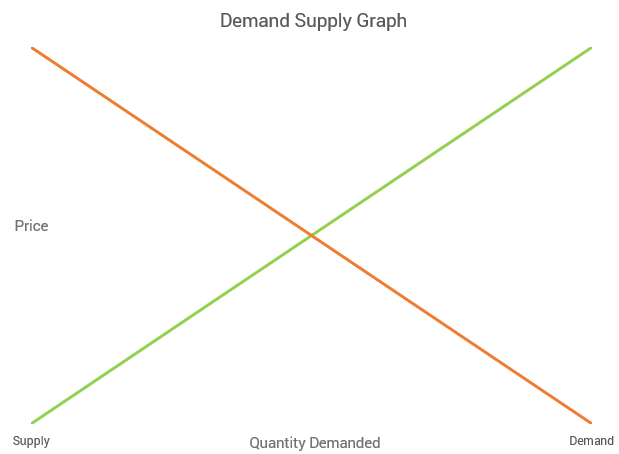 Economic Manufacture (Cost to Produce) – How much it costs to produce the product. Maintaining a good product image that will appeal to customers is only one small portion of aesthetics, one must also consider consistency and differentiation. A product may be very aesthetic but may have shortfalls when it is used or may have a much lower profit margin than other products of lesser quality. A product like a smartphone that is top of the line may look and feel better than its competitors, however if it has a small processor that cannot perform tasks to the same standard as other phones on the market, it may be left behind when other competition sacrifices some of their aesthetics for performance, such as a camera bump or metal case for use as an antenna for better reception. Typically when a product is made, Aesthetics are one of the first considerations, whilst also factoring in cost. An Ink-jet printer is much less functional than a modern day laser printer, however for most people, all they require is at most a few family photos, therefore a cheap, and a possibly unreliable printer would be more preferable than an expensive laser printer. Additionally, most people would much prefer a non-consumable product over one that requires a refill or maintenance if the products are functionally similar, with the exceptions being things like coffee machines, where it is much quicker to have it made from a capsule. 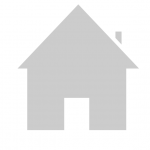 Therefore the functionality of a product and its associated cost must also be considered. A company that wishes to sell its products must do so at a profit, selling highly functional products with aesthetic appeal may move a lot of orders, but if the business does not cover its break-even cost it may struggle to expand. 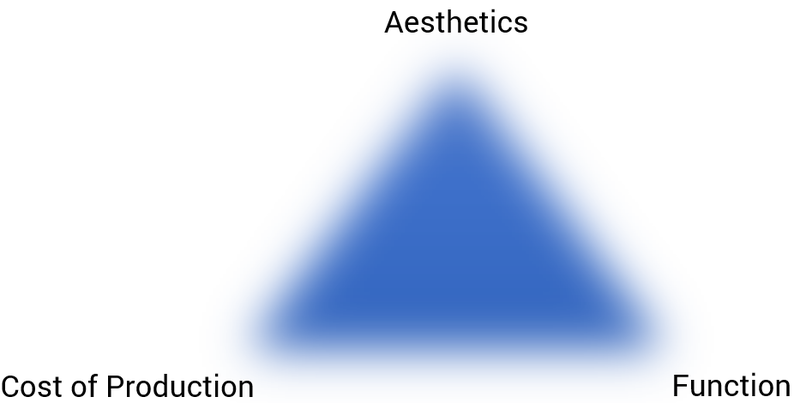 A Design Mix Triangle can be used to show the struggles between the relationship of each corner, a product may be functional and aesthetic, but not economical to manufacture.